Portland’s City Hall is going to be transformed for one night into a free, mini comics convention! Featuring more than 20 vendors, including CBLDF, local vendors, creators, publishers, and others that exemplify the strong comics community in Portland. 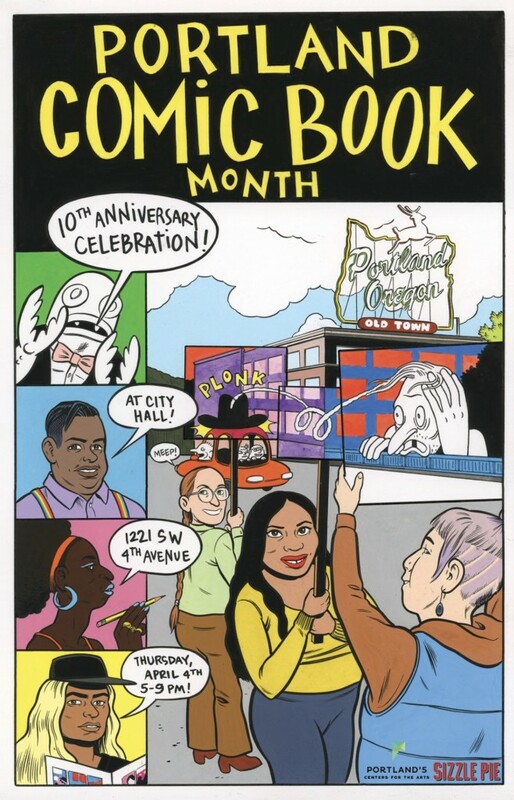 This is how the city is planning on kicking off the official 10th Anniversary of Comics Book Month, and CBLDF is thrilled to be a part of the opening night events. When we relocated to Portland, OR, it was partially because of the amazing and ever-expanding commitment to both the creation and community of comics. The annual Comic Book Month is just one of many examples in which Portland honors its commitment to not just the comics industry, but the comic book readers and creators. Commissioner Chloe Eudaly is hosting the event, which runs from 5PM – 9PM and is open to all ages. There will be a live drawing demonstration following Commissioner Eudaly’s address at 6pm. There will be pizza and kombucha, both provided by local vendors. Thursday is also the opening of a new art exhibit, titled Process, highlighting the creative process with a group showing, featuring work by 7 local cartoonists. The show will include artifacts from comics creation, like scripts and inks, to offer a behind-the-scenes glimpse of the comics making process. Meet the artists at the opening night reception, beginning at 6pm on Thursday night. In addition to CBLDF, some of the other exhibitors include Dark Horse Comics, IDW Publishing Woodworks, Lion Forge, Oni Press, The Nib, Floating World Comics, Portland State University Comics Studies Program, and many more! 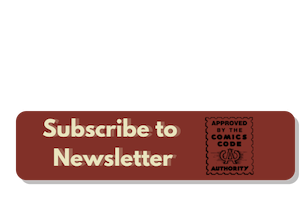 This is only the beginning of the events in Portland to celebrate comics in April, so make sure to sign up for CBLDF’s weekly newsletter to keep up with events.